Many communities and individual members in the Sword of the Spirit have been hearing the Lord say recently that this is a time of grace for us. And many of us have also been able to point to various events that indicate the truth of that word. As the Lord first began speaking this way to us a few years ago, I remember hearing a brother give a prophecy along these lines and then get up and share a scripture passage that seemed quite apt to our situation. It came from the first chapter of the prophet Joel, which begins with a description of a plague of locusts: “What the cutting locust left, the swarming locust has eaten. What the swarming locust left, the hopping locust has eaten, and what the hopping locust left, the destroying locust has eaten.” Joel was describing a time of great devastation. It must have seemed as if everything had been destroyed and the people would not be able to survive. by the end of the first chapter, little hope is left. Then, in chapter 2, we read a description of God’s people turning to the Lord, resulting in a time of grace: “The threshing floors shall be full of grain, the vats shall overflow with wine and oil. I will restore to you the years which the swarming locust has eaten, the hopper, the destroyer and the cutter, my great army, which I sent among you.” There are several noteworthy things about this prophecy. First, the Lord said that he himself sent the plague of locusts. Then he says that he has decided to restore what was taken away, and more. Implied, it seems clear, is that the plague of devastation was important for getting God’s people on the right track. But even though the years of devastation might have seemed like years of irremediable loss, the Lord promised that all would be replaced, and more added. This past decade of our history has been a paradoxical time. Even as some were saying that the troubles we went through would mean our destruction, something else was going on that has since become clear. In a recent report, the Sword of the Spirit international secretary cited statistics that show that this had been a decade of growth for us. We have more than doubled the number of fully covenanted communities, and the overall number of communities which are in various stages of commitment to us has increased by about 20. We have become more international, as well, with communities in 10 more countries than in 1990. Even though I was aware of all those developments, I was impressed at how positive the tally was. However, I am even more impressed by something else. I am impressed by the degree of unity of purpose, and the agreement on fundamental issues that we now have, compared to ten years ago and fifteen years ago. It strikes me most at international council meetings. I have been to all of them but one since the beginning, and what I now see is a genuine and grace-filled ability to work together, a remarkable inter-cultural, international cooperation, despite the fact that in our meetings we cannot even all speak the same language. There is a sense of common purpose, that we are building something together, building an international bulwark. This is most clearly indicated by the steady progress we can see as a result of each set of council meetings. We are no longer knitting a row one year and unraveling it the next. One fruit of that progress is this Call and Mission Conference. 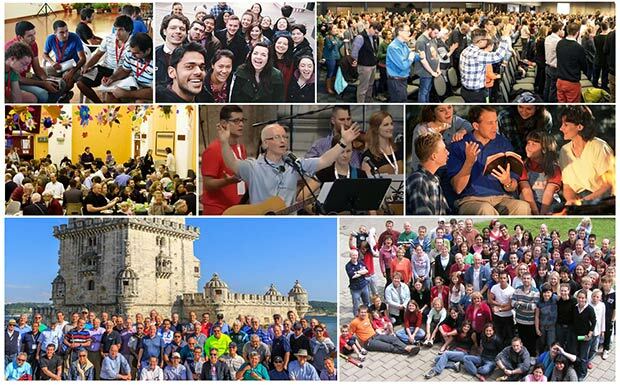 It was developed by the Ibero-American Region (whom most of us outsiders call “the Latinos”) and in it we are presenting what our international council has agreed on unanimously, after several years of work, the statement “Our Call”, capsulized in the phrase “We are a community of disciples on mission”. For this presentation, we will be focusing on the “mission” part of that phrase. “Our Mission” starts out by saying, “We are called to live, work, and strive by the power of the Holy Spirit, so that others might have true life in Christ now and forever.” I would call your attention to the word “others” here. The fact that we exist for the sake of others automatically makes us a people on mission. Now, most of us would say we have become part of the Sword of the Spirit because we have experienced some kind of blessing: our life works better, our families are stronger, we are more solidly Christian. Nonetheless, we are not just called for ourselves, we are called for others. We also often think of missionaries as people who go off to a different country to serve the Lord. If that is the sole meaning of the word, then only a few of us are missionaries. But there is another way of understanding a missionary – as someone the Lord calls and gives a mission to. If that mission is something you can accomplish in your own city, then you are a missionary there, without going anywhere else. In that sense, we in the Sword of the Spirit are missionaries. As community members, we are missionaries wherever the Lord has put us. Notice that the “Our Mission” summary is divided into two sections: first, what we are called to be to fulfill our mission, and second, what we are called to do. Because most of us tend to think of mission in terms of doing rather than being, I would like to emphasize what we have to be. The mission the Lord has entrusted to us has a special character. We have to be something to fulfill it – communities of disciples on mission. If we can understand the Lord’s overall strategy for us (which applies to other groups as well), we can more effectively carry out the mission he has given us. That strategy has to do with establishing centers to radiate new life and to be bases for reaching out to those around us. The summary lists three different aspects of what we should be: a bulwark, a prophetic people and a servant people. Let us focus on the first one, being a bulwark. A bulwark is not a word in common usage for most of us, but it is an old and venerable term meaning a certain kind of fortification or, on occasion, a fort. But our image of a fort can easily mislead us, so I am going to give you an historical example of a fort that will show some features that might be surprising, and draw some lessons for our own mission. The example is of Fort Detroit around 1750. Ft. Detroit1 was built by the French in 1701 by deliberate strategic decision to further their empire in North America. It was built on the west bank of the Detroit River near where the Renaissance Center in downtown Detroit now stands. It was the start of everything we now know as the Detroit metropolitan area. A map of North America in that era (see map below) shows some of the significance of Ft. Detroit. By the 1750’s, a good part of the Atlantic coast had been settled by the English, but the Appalachian Mountains to their west kept the English from easy access to North America’s rich central plains. The French had established a route inland by boat from the mouth of the St. Lawrence River, where they had a colony. The French inland route headed west along the St. Lawrence River and then into Lake Ontario and on to Lake Erie. At various points along Lake Erie there were relatively easy portages to the Ohio-Mississippi basin, which occupies a large part of central North America. The water route continued north and west from Lake Erie into the other three Great Lakes – Huron, Superior and Michigan. From Lake Michigan there were again relatively easy portages to the river network of the interior. Ft. Detroit was established right on that route at the southern shore of Lake Huron. It was, in other words, part of the linkage from the French colony at the mouth of the St. Lawrence to the vast inland of North America, which the French considered part of their empire. Ft. Detroit in 1750 was probably the major French center west of Lake Ontario. There was a big difference between the French colonial empire and the English colonies in North America. The English came in relatively large numbers and settled, so that the English area of influence was being filled by farms and towns. The French, however, with the exception of the Quebec-Montreal area, had only a few, small settlements. Most of their “empire” was territory in which they traded and in which they were a predominant presence. Detroit, then, was the center of significant French influence in a large area, covering much of what are now the states of Michigan, Ohio, Indiana, Illinois, Wisconsin and Minnesota and the Western part of the province of Ontario. 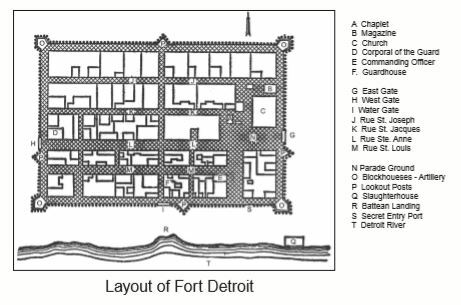 Despite its significance, Ft. Detroit was remarkably small (see plan of fort on page 12), with an area of about four city blocks, plus a small settlement of farms along the river. Altogether there were about 800 people who lived in the fort and on the farms – in other words, only about the number in one of our larger communities. Now, there are forts and there are forts. The image most of us have of forts is of the kind we have seen in Hollywood Westerns – a stockade with soldiers inside, usually surrounded by Indians trying to burn it down. The soldiers are manning the walls and shooting at the attackers. Occasionally they make sorties, but in most Westerns they seem to be mainly hoping for reinforcements to arrive before supplies run out. Such forts were designed to allow an army unit to hold territory in the face of opposition. Ft. Detroit, however, was not like that. In fact, the Indians never besieged it, at least not when the French were there. The only siege against it was led by Chief Pontiac when the fort had been taken over by the English. In fact, Pontiac wanted to get rid of the English so he could get the French back. This, too, does not fit our image. Most of us are surprised that any Indians would want to have Europeans like the French around. Understanding why Pontiac wanted the French to return will tell us something more about Ft. Detroit. For one thing, unlike the English, the French were not arranging for settlers to take over more and more Indian land, so the Indians knew they had little to fear on that score. But there were positive reasons as well. One was trade. The French brought a lot of goods the Indians wanted, including guns. Here again, images from the movies are misleading. Indians did at times use guns on one another or on the English, and occasionally on the French. But they mostly used them to hunt, and were much more effective in hunting – and consequently feeding themselves – as a result. But the French brought other products as well – clothing, metal cooking pots, knives for cutting rope and dressing meat. The Indians preferred the French over the English partly because the French sold them more freely the goods the Indians wanted. There were other things the Indians liked. Especially in more settled areas like Montreal and Quebec, Christian nuns and brothers had established boarding schools for young Indians. And although the predominant French interest was commercial, there was also a significant effort to reach the Indians with Christianity. Near Ft. Detroit there were two or three villages of Christian Indians, small Christian communities resulting from French missionary endeavors. There were other villages of Christian Indians in various areas of French territory, including the Mackinaw area where Lakes Huron and Superior come together. The French saw their forts as centers of civilization, including centers of Christianity. Generally speaking the Indians appreciated that aspect of the French presence and were influenced by it. To be sure, the relationship was not problem-free, but many of the images we have of imperialism do not fit the French “empire” in North America. If you went into Ft. Detroit what would you see? You would see a village -- shops, a church and people’s homes. Most of the fort residents were ordinary people. Ft. Detroit did have some soldiers, and a few of them were on duty as watchmen on the walls and as sentries at the gates to see if anything strange might be happening outside. But most of the people in the fort were “butchers, bakers, and candlestick makers”, living normal lives. There were also people farming the area surrounding the fort and they would come in to buy or sell or attend church. They normally lived on their farms unless they needed to take refuge in the fort during some special danger. The gates, in fact, were normally open during the day. Farmers would go in and out, but so would the Indians. Although they usually could not go in armed (as we cannot go armed onto commercial airline flights), they had pretty free access, traded, saw how the French lived and some began to go to church. Detroit was indeed a fort, but not on the Hollywood Western model. Its mission was not primarily to hold territory against opposition but to act as a base for various forms of influence. It was a settlement, a community, with trades people and farmers whose presence provided the base for an enduring influence in the region, allowing French soldiers, traders and missionaries to live in the wilderness, despite their distance from France or the French Canadian settlements. In its day, Ft. Detroit was quite successful. It went into English hands not because of a lack of effectiveness, but largely for two reasons. The first is that there were many more English in North America, enabling them to mount a stronger war effort on the continent. The second is that English armies and navies defeated the French in other parts of the world. In fact, Ft. Detroit did not fall, it surrendered after the peace treaty. There were several keys to the success of Ft. Detroit in its heyday. The first is that it was fortified. Almost every historian would say that if it were not a fort, it would not have survived. If any little army or raiding party could have come in and done whatever they wanted, the settlement would not have lasted very long. The fortifications and the small army detachment were important, even though the main things that went on were not military operations or even military preparations. The second key was that all who lived there – the farmers, the craftsmen, the priests – were united in certain ways. They all belonged to the same nation, a different one from the Indian tribes around them, with allegiance to the same king, in Paris. They spoke the same French language, and had the same French culture and way of life. They were involved in a common endeavor that made the fort a base and a source of influence. They were consequently also part of something much bigger than Ft. Detroit itself and received a great deal of support and help from France and the rest of the French colonies. The French have a reputation for thinking their culture is superior, something that others, especially their neighbors, tend to dispute. But when we consider Ft. Detroit, most of us would be inclined to agree that in many aspects the French culture was superior to the culture of the tribes around them. They were Christians, they were relatively moral, and on the whole they had a higher civilization, both materially and in other ways as well. That is one of the things that attracted the Indians. They did not usually want to become French, but they saw many good things the French could provide them with. Moreover, the very confidence that the French exhibited made the French more influential with the Indians than vice versa. The French did not become Indian-like: the Indians became more like the French. The French were passing on a culture, a way of life, and from our point of view, much of what was good about their culture came from the presence of Christianity and Christian values. There is one further key to the success of Ft. Detroit. It was not just on its own, hundreds of miles from Quebec. It was part of a chain of forts – Ft. Frontenac (now Kingston, Ontario), Ft. Niagara, Ft. Presqu’ile (now Erie, Pennsylvania), Ft. Duquesne (now Pittsburgh), Ft. Michilimackinac (at the straits in northern Michigan) and many others farther west. This chain was all-important for the long-term survival of any of the forts. If supplies or some sort of help were needed by the people of Detroit, they could send a boat off to Ft. Niagara. If no help was available there, they might travel on to Ft. Frontenac and so on. Moreover, Ft. Detroit itself was a major center for helping other forts when they had need or were in trouble. There was, in other words, a whole system of support, forts helping one another even though they might be some distance away. In describing Ft. Detroit, I am using what we might call a secular example. There are many others. We read in the New Testament, for instance, about Roman colonies like Philippi. They operated much like Ft. Detroit and played a similar role in their area to that of the inhabitants of Ft. Detroit. Cities like Cologne, Trier, and even Paris itself, were once Roman colonies. If we ask how the French got to speak French, which is a form of late Latin, we would have to attribute it to the success of the Roman Empire and the influence of Roman colonies planted in what at that time was called the Province of Gaul. But there are also traditional Christian examples such as monasteries. These were founded throughout Europe in the 7th to 11th centuries when what we might now call European civilization was being established. Monasteries in this period of European history were settlements of Christians who prayed, who farmed, who were craftsmen. For much of their history, monasteries were also fortified. In pictures of old monasteries, you can see that most had walls around them. When marauding Vikings came looking for monasteries to burn and treasure to carry off, the monks would close the gates or perhaps climb into a fortified tower to wait out the attack. As a result most of the monasteries survived and became centers that radiated Christian life. But they were also often a centers of better agricultural methods, better building methods, and so on. They were little centers of Christian civilization in various locations, and they were usually linked with others like themselves. The Moravians are another example. They were one of the first groups of Protestant missionaries to come to the North American frontier – in the mid-1700s. At the time they were formed, there were many more Catholic missionaries than Protestant ones. Originally the Moravians were mainly Lutherans and they formed communities quite similar to ours in the Sword of the Spirit, including groups of celibate brothers and celibate sisters. Many of the cities in the United States – Bethlehem and Nazareth in Pennsylvania, the Salem part of Winston-Salem in North Carolina and New Schoenbrunn and Gnadenhutten just west of Steubenville, in Ohio – were originally Moravian settlements. The Moravians would not only settle and begin to farm, they would also evangelize the Indians, with notable success. These examples will hopefully give a better understanding of what it means to be a bulwark, a “fortified city”, in fact, a set of fortified cities. We do differ in some respects from Ft. Detroit and some of the other examples given here. We do not go off into the woods to build a city: we want to build a “city” right where we are, in the midst of existing cities. We also do not build physical walls, but we do try to build other forms of protections for our common way of life. The results are communities that can be places of refuge when needed, places of provision, but also places of influence, inhabited by pioneers of the kingdom. Similar to the French forts, our communities are linked together into a community of communities. A single community by itself does not usually survive all that long. Communities that survive are normally linked together with others into a system of support. They also are tied to a capital. Our capital is not Rome or Jerusalem (not to mention Managua or Manila or Ann Arbor). Our capital, the place where the king lives, is in heaven. We are linked together as citizens of heaven, as we live together here on earth. We are outposts, colonies, of the kingdom of God in a fallen world, cities of Christian people who are living the heavenly life, the life lived by those whose king is the Lord. We have to be a protected, a fortified, group. If we were not, we would not survive. We have to be linked together so we can help one another. If we were not, we would not survive. Look what happens to so many of the Christians around us. They have no walls, so to speak, around their Christian life, their life together. As a result all sorts of influences, “raiding parties”, wander in at will, to undermine and destroy. Nor do they support one another very actively when under attack. As a result, many Christians are losing their distinct identity as Christians and are gradually being assimilated into the secular society around them, being conformed to it, because they have no defenses. We try to be sure as a group that protection is in place, but this is not our primary focus. The Lord has put us here, not so that the kingdom of God can gradually and politely retreat on earth. He has put us here to be centers of influence for the advance of the kingdom of God. A significant part of the call we have received from him is to be missionary bases wherever he has placed us. At times the attack is so heavy that all we can do is hold the line, closing the gates, so to speak, and gathering inside the fort for protection. A number of our communities could recount what it is like to be “under siege”. But most of the time the gates are open and the people around us go in and out, and we also go out and come back. Our communities are centers of the life of the kingdom of God. Remember also what I said about how most of the people in Ft. Detroit spent their time. They farmed, they made clothes, they made candlesticks. They had families, they raised their children, they went to church. In other words, they just lived life. You might be tempted to say that they were only part-time members of the fort and that most of their time was spent living their daily life, but that would not be accurate. Their daily life was key to the fort functioning well. If the daily life of the ordinary people in the fort were removed, the whole support structure of the fort would have failed, and the fort would have disappeared. Or if it had survived, it would have lost most of its influence. For us, living daily life as members of the kingdom, as members of the fort, is an integral part of our mission. We do not have a community and then do mission in addition to that. Being part of community life is part of our mission. Certainly we should send out evangelists, host Life in the Spirit Seminars and serve in inner city Detroit or Manila or Managua. But even those of us who are not working in such outreaches are involved in the mission with our whole lives. We are all actively involved in being a colony of the kingdom of heaven, a base for Christian life. This is what the Lord is calling us to. 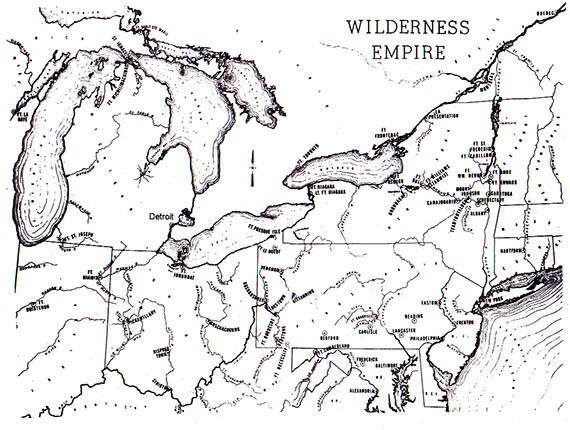 <2> Wilderness Empire map image: drawn by Allan W. Eckert. From Wilderness Empire by Allan W. Eckert, Little, Brown & Co., Boston, MA., 1969. Used by arrangement with the author. <3> Layout of Fort Detroit image: drawn by Allan W. Eckert. From The Conquerors by Allan W. Eckert, Little, Brown & Co., Boston, MA., 1970. Used by arrangement with the author. 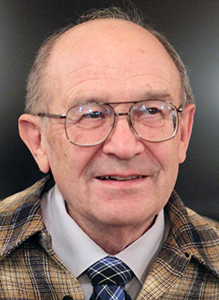 Steve Clark has been a founding leader, author, and teacher for the Catholic charismatic renewal since its inception in 1967. Steve is past president of the Sword of the Spirit, an international ecumenical association of charismatic covenant communities worldwide. He is the founder of the Servants of the Word, an ecumenical international missionary brotherhood of men living single for the Lord. Steve Clark has authored a number of books, including Baptized in the Spirit and Spiritual Gifts, Finding New Life in the Spirit, Growing in Faith, and Knowing God’s Will, Building Christian Communities, Man and Woman in Christ, The Old Testament in Light of the New. Return to Table of Contents or Archives • (c) copyright 2019 The Sword of the Spirit .